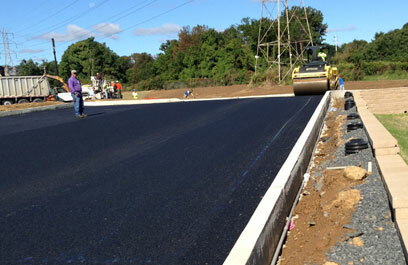 Louis A. Bencardino Excavating provides concrete, paving and curbing service that is unsurpassed. Bencardino has built its record on quality and exceptional service by providing extremely detailed concrete, structure concrete, concrete ground structures, paving and curbing solutions for casino projects, shopping centers, residential areas, colleges, institutions, and projects like yours. technical expertise and modern safety techniques to get the job done professionally and safely. 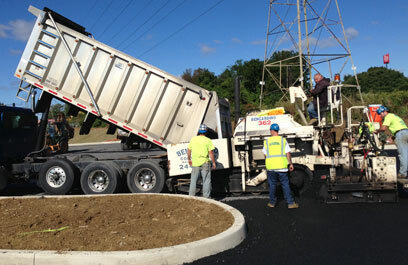 Bencardino Excavating guarantees the highest level of workmanship, safety, and quality. Best of all, we leave your site clean, organized, and ready. Bencardino Excavating will be helping to renovate the plaza by performing demolition to the old Mattress Factory store and the adjacent property. Bencardino goes above and beyond the call of duty. On a paving job at CVS/Commerce Bank in Bensalem, they spent a lot of time working the soil to dry it out, in order to get the paving done right. I also like that they’re organized. Mark Warholic, Vice President of Construction, Builders, Inc.